People shop at a Big C supermarket in Ho Chi Minh City. 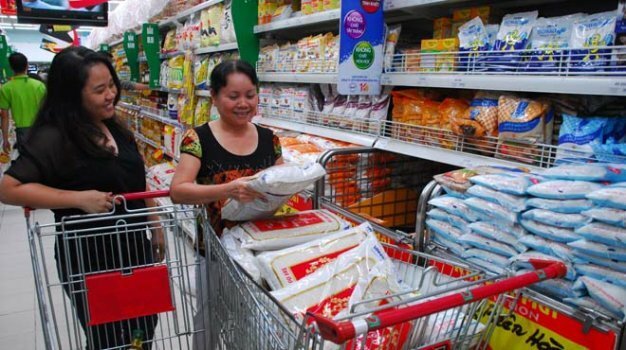 French mass retailer Casino Group may seek a new owner for its supermarket chain Big C in Vietnam, as the company plans to strengthen its financial flexibility by selling assets in the country, as well as Thailand and Colombia. In 2016 Casino Group is expected to enact a deleveraging plan of more than two billion euros (US$2.2 billion), mainly through real estate transactions and disposal of non-core assets, according to a December 15 memo seen by Tuoi Tre News. The disposals of non-core assets include in particular the project to sell the group’s operations in Vietnam, consisting of 32 Big C outlets. Casino Group will also seek to externalize the value of its real estate portfolio through the participation of investors in its real estate activities in Thailand and Colombia. In Thailand, Big C owns almost 800,000 square meters of gross leasable area in its shopping malls located in prime locations all across the country, according to the document. In Colombia, Éxito’s real estate activity includes more than 300,000 square meters of gross leasable area, excluding hypermarkets. Big C Thailand and Éxito will continue to fully consolidate their real estate activities, the company noted. Casino Group said the transactions will create value for all shareholders and will enable both companies to pursue their development on their respective markets where they already own leading positions. According to Casino Group, the deleveraging program, coupled with the expected increase in cash flow after dividends in France, will combine to significantly improve its financial structure. Following these moves, the French company will continue to focus on its growth strategy in its key markets of France, Latin America and Asia around buoyant assets, according to the memo. The sale of the Vietnam business could raise 750 million euros ($813.86 million), while setting up real estate investment trusts in Thailand and Colombia could net 550 million euros ($596.8 million) and 200 million euros ($216.98 million), respectively, Bloomberg reported on Wednesday, citing Bruno Monteyne, an analyst at Sanford C. Bernstein. The French retailer is shoring up its finances after the stock plunged 40 percent this year because of the recession in Brazil and a dip in the currency there, according to Bloomberg. A representative of Big C Vietnam confirmed the content of the memo to The Saigon Times Online on Wednesday, adding however that the plan will not affect the current operations and investment of the retailer in the country. Big C is among several major foreign retailers who took up an early presence in Vietnam and is a big competitor in the country’s retail sector. There are now 32 Big C outlets across Vietnam, with eight in Ho Chi Minh City. Casino Group is the second European retailer to announce plans to sell out its Vietnamese business, following Germany’s Metro Group. The German firm announced in August last year it wanted to sell its Vietnamese cash-and-carry unit to Thailand’s Berli Jucker for 655 million euros ($879 million), but the deal is not yet complete. However Metro Group will retains its presence in Vietnam through a $290 million acquisition of the Classic Fine Foods Group (CFF), a leading premium food service distribution player headquartered in Singapore, in August 2015.